We are excited to have Janeen provide this fabulous guest review of her dining experience at Tusker House in Disney’s Animal Kingdom. Her son is allergic to wheat, rye, barley, oat, egg, peanut, and tree nuts. I made our reservation a few months before we traveled to Disney World. I made the reservation via Disney’s online reservations and it has an area where you can list all of your food allergies or special needs. When we arrived at Tusker House to check in, the hostess was already aware of my sons special needs as our reservation was flagged with “Food Allergies”. Due to the time of year that we went, the dining room wasn’t as crowded as I expected and even though we arrived 20 minutes early, we were seated right away. Our original reservation was for 10 AM. 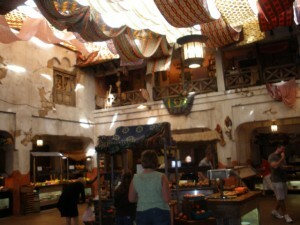 Because this restaurant is in Animal Kingdom, it has a safari feel to it. The characters themselves (Mickey, Donald, Daisy Duck, and Goofy are dressed in safari type outfits). The seating is comfortable and the tables are not too close together. Even though we were seated at the back of the restaurant, none of the tables were too far from the buffet. 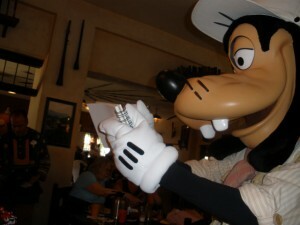 As you are dining, the characters come around to the tables to say hello, sign autographs and take photos with the customers. There is also a parade that takes place with the characters and the children are a part of it. Each child receives a percussion type instrument and they parade around the restaurant with the characters to music. Even my 10 years old son enjoyed this. It was a lot of fun. When we were seated, our server was also already aware of the food allergies. She took our drink order and went to the kitchen to let the chef know that we had a special order. The chef came to our table and let me know exactly what was safe on the menu for my sons allergies. Even though there were other safe options my son chose to have fruit, bacon, hash browns, rice and waffles. Because this restaurant is buffet style and buffets are never safe for food allergies due to cross contamination, my son was brought out a safe plate of food directly from the kitchen by the chef. 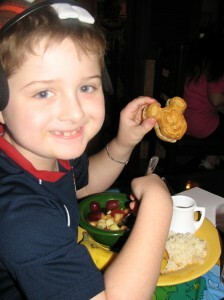 The chef had also made my son safe Mickey shaped waffles which were really cute. We all ordered jungle juice to drink and it was really delicious. The waitress and the chef came to the table at various points to make sure that everything was fine for my son. When he needed more bacon, the chef brought out extra from the kitchen along with some extras of the other food items he had originally requested. They really took great care with him and he never wanted for anything. 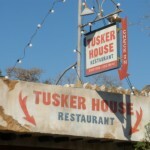 Our dining experience and the staff at the Tusker House was top notch. 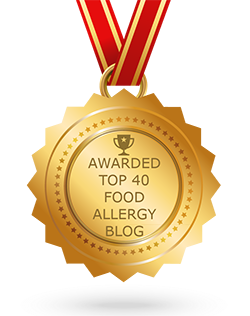 Tell everyone and anyone who is handling your dining experience about your food allergies. Make sure to have the chef or the manager facilitate the food allergy order. If you are dining at a facility that has a buffet, make sure that your food comes directly from the kitchen and not the buffet. Janeen Zumerling is a Health Community Manager, Blogger and Food Allergy Advocate. She can be found blogging at: www.zumfamily.blogspot.com (Our Story: The Good, the Bad, and the Food Allergies) and at www.foodallergycooking.blogspot.com (Mom’s Food Allergy Diner). A former Sales and Marketing Representative, Janeen is currently a stay at home mom and lives in Ohio with her husband and two young sons one of whom has multiple life threatening food allergies and asthma. Thanks, Janeen, for submitting this review of Tusker House in Animal Kingdom. If you found this helpful, please be sure to give her a thumbs up or share this on Facebook. 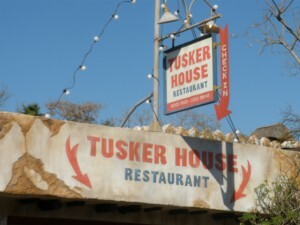 The Tusker House restaurant is located in the Harambe village in the Africa area of Animal Kingdom theme park. Breakfast is the character event, called Donald’s Safari Breakfast, and includes Donald, Daisy, Mickey and Goofy, all dressed in safari gear. The breakfast buffet includes traditional American fare, plus a few unique African influenced dishes. The breakfast buffet was fabulous! But the best part was the chef’s treatment of our daughter’s dairy allergy. He walked us through the buffet line, asking about her personal likes and dislikes, and about things my daughter could eat, and things she wanted to eat. Then he created a specially prepared dairy-free meal, which he cooked personally. The chef was every bit as wonderful as the Disney characters. Lunch and dinner include a wide variety of African influenced vegetarian and meat-based options, including curried rice salad, hummus and baba ghanoush, Marrakech couscous, spiced tandoori tofu and spicy South African preserves, according to the menu. Price range: $15.00 – 35.99. Be sure to identify your allergy requirements to the host or hostess, as soon as you arrive. And also mention your allergy to everyone who waits your table, and ask to speak to the chef before you head to the buffet. Also, be careful when hugging the characters if you have a contact food allergy. 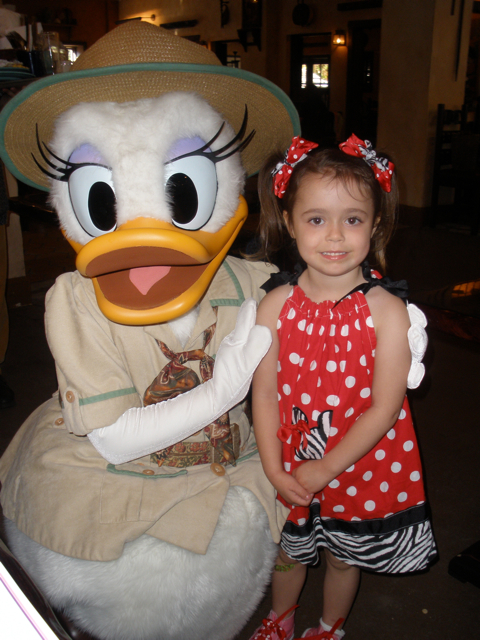 Dining with the Disney Characters is one of the most exciting and memorable events for the kids, big and small. Some of these Character Dining restaurants are buffets and some have table service. However, most can accommodate a food allergy. Food allergens mentioned in the reviews are listed below each restaurant name. Be sure to contact the staff first, then make sure the host/hostess and the chef is aware of your food allergy. American cuisine buffet. Dine with Alice in Wonderland, Cinderella, Prince Charming and other Wonderland friends. Great breakfast event, with a Norwegian buffet, plus you dine with Disney Princesses. Chef Mickey and friends host buffet-style breakfasts and dinners. Favorites include Mickey-shaped waffles. Dine with Disney Princesses inside the castle. A huge buffet with Winnie the Pooh, Tigger, Piglet and Eeyore. Breakfast and lunch buffets with Disney Characters. Dinner buffet with savory American cuisine. Tea with a Disney Princess in the The Garden View Tea Room. Family-style fare with rotating views of the Living with the Land attraction. Chip & Dale make appearances. Family buffets with African flavors during lunch and dinner. 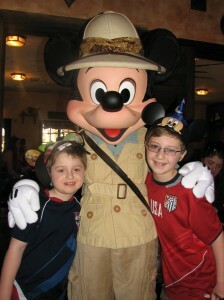 Also, join Mickey and crew on safari at breakfast and lunch. 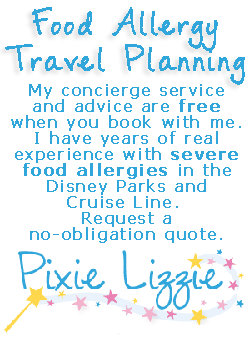 Would you like to share your allergy-free Disney dining experience with other readers? If so, please submit your review here.